Watch the Super Bowl between the Seattle Seahawks and New England Patriots (updated Jan. 18, 2015), NBA playoffs, Stanley Cup Final, FIFA World Cup Soccer, NCAA March Madness, a Manny Pacquiao championship bout, World Series, World Series of Poker, even the National Spelling Bee on ESPN 8 ("The Ocho"), or any other big game on the Samsung 55" UN55HU7200FXZA HDTV. With the Super Bowl only about a month away, host a Super Bowl party for friends and family with this awesome tv which features a distinct curved screen for a better viewing experience no matter what your viewing angle is from anywhere in the room. You'll start to believe that this tv was made for football. You will enjoy watching new movies or your favorite shows recorded on your DVR on this curved HDTV. If this tv is too small for your living or family room, you might want to go for the 65" version to better accommodate your space. 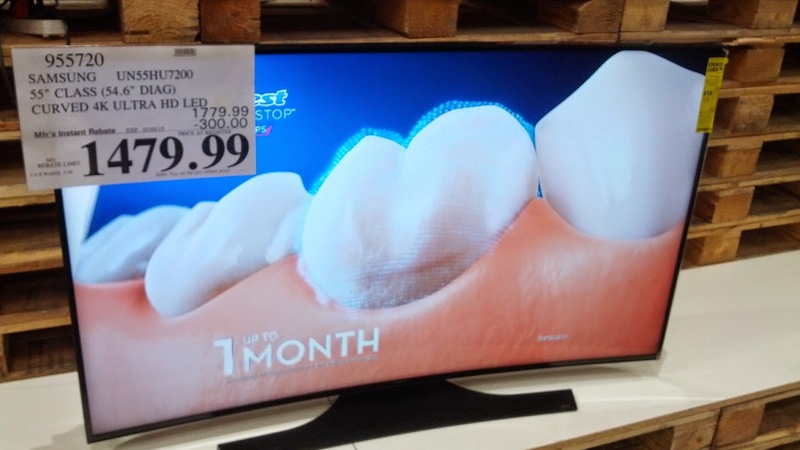 Or maybe you'd prefer a regular Samsung 65" tv instead. 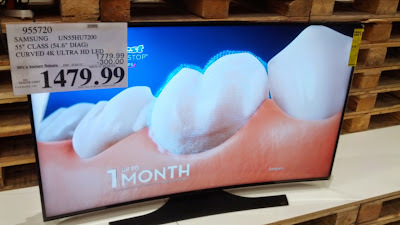 Recently, I just saw a commercial indicating that regular hd tvs have 2 million pixels, but these curved tvs have 8 million which explains the great detail and amazing crisp clarity. Note the unique curvature of the Samsung UN55HU7200FXZA's viewing surface.